Talking Back at Conferences | Riverview Systems Group, Inc.
A recent story in Biz Bash reports on new research from the International Association of Conference Centers. Among the more intriguing findings is how 80 percent of meeting respondents say access to interactive technology is going to become more important in the next five years. An astounding 92 percent of respondents say their dependency on wi-fi will continue to increase in the next three to five years. Among the important meeting venue elements that event planners and producers will be focused on is leveraging the latest technologies to enhance the real-life attendee experience for live event audience participation. For example, the article notes there is increased use of apps like Crowd Mics, which turn attendee smartphones into microphones, Convenient sure, but apps like this also take up enormous swaths of wi-fi speed when you have hundreds, or even thousands, of attendees downloading and using it simultaneously. 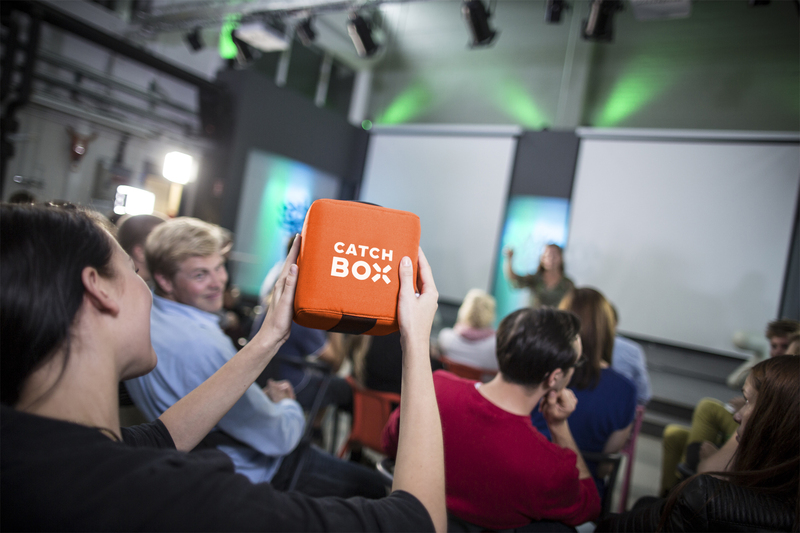 As we constantly strive to incorporate an easy-to-use interface for the comfort and benefit of our client’s attendees, we have embraced a more controllable technology for the execution of live event Q&As — namely Catch Box. This is essentially a high-quality mic that is housed in a soft, “Nerf” like device that literally can be tossed around the audience.